Laker Hall has been the health, physical education and recreation building for the school since its completion in 1968. Its primary purpose is to serve as the SUNY Oswego Varsity Athletic complex. Laker houses all competitions for wrestling, basketball, volleyball, and swimming and diving. 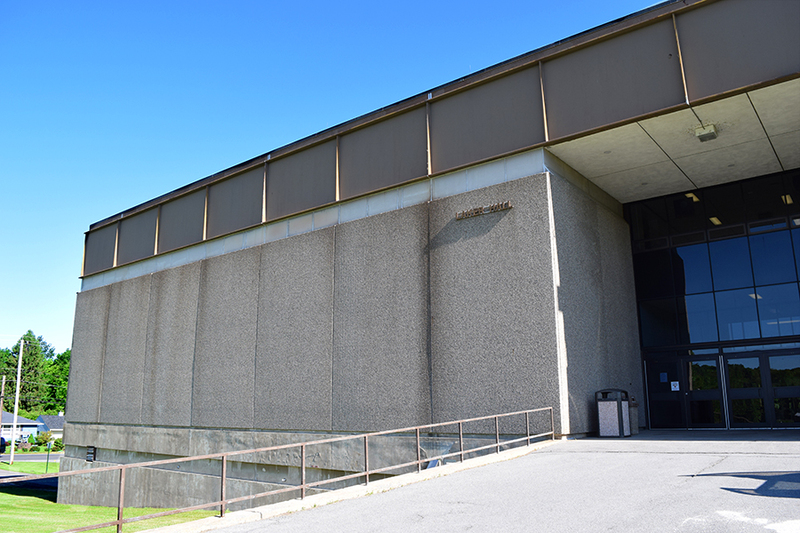 The building is also used as the offices for coaches of all intercollegiate sports at the college except for men’s and women’s hockey, which reside in Marano Campus Center. Laker was not named after a particular person, but the college itself. SUNY Oswego Div. III athletics are referred to as the Lakers, making Laker Hall a fitting name for the home of SUNY Oswego’s sports teams.